Now that the 2018 NFL season has wrapped up it’s time to start gearing up for baseball’s spring training. 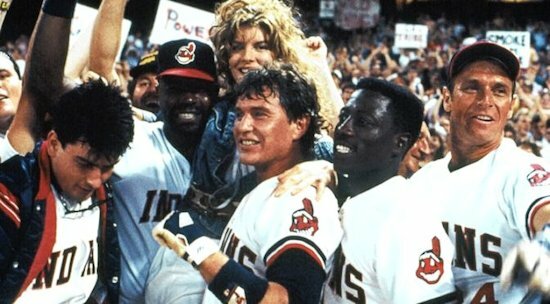 We’re also coming up on the 30th anniversary of an absolutely iconic baseball comedy, Major League. It’s a little hard to believe that come April 7th this movie will officially be thirty years old! Be that as it may it’s as timeless a tale of underdogs defying all odds as there is. 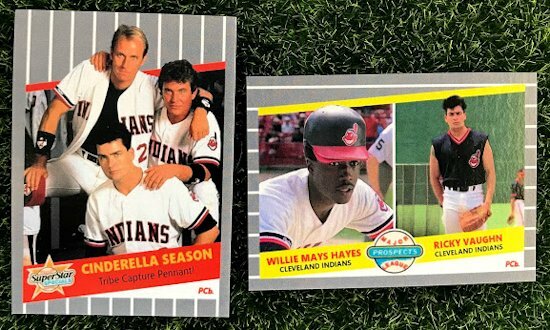 I actually made a few Major League cards with an ‘89 Donruss inspired design a few years back. They were okay but I knew that with all the cards I’ve made since that I could do better. With the timing of the movie’s anniversary coming up I wanted to make a mini-set for the movie that would be one of my best sets to date, and I think I just may have accomplished that with these. In thinking what design to use there was a few to consider. 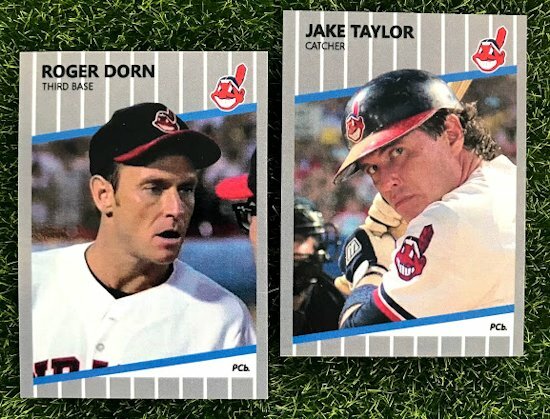 I did not consider Topps’ 1989 design because 5 years ago they had Major League cards in their Archives set for the movie’s 25th anniversary. I wasn’t looking to duplicate my ‘89 Donruss effort and 1989 Score… super “meh”. 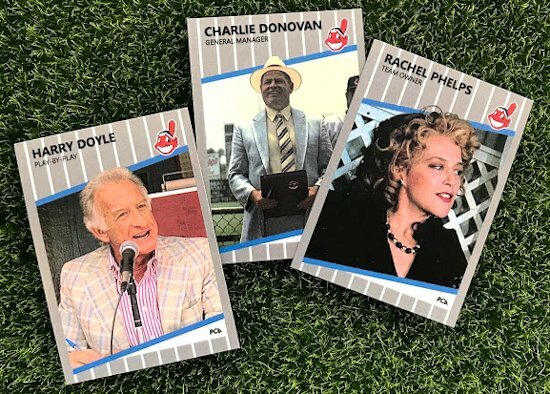 There was really only one correct selection … the set that brought collectors perhaps the most infamous baseball card of all-times. Of course I’m referring to the 1989 Fleer Billy Ripken F*ck Face “error” card! It was only fitting that I commemorated Major League’s motley misfits with this design. 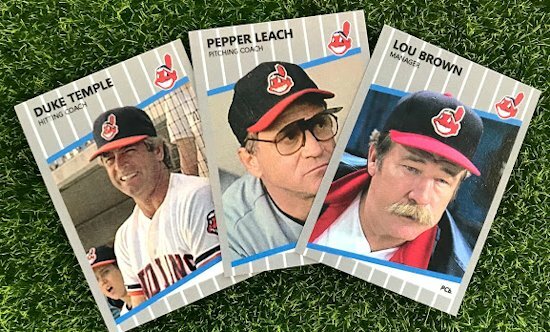 I wanted the set to be as comprehensive as I could so, unlike the real Fleer baseball cards, I’ve included the coaching staff, team owner, GM, and even color man Harry Doyle. 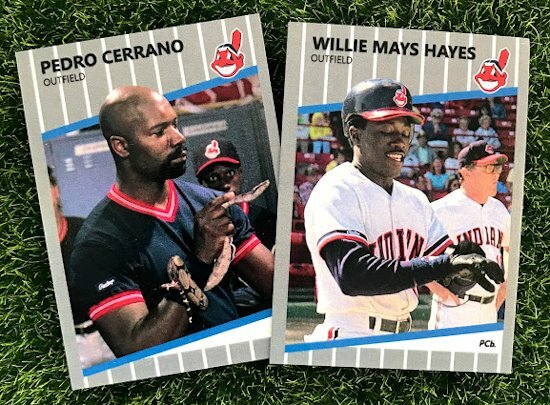 I added two cards in style style of the “Super Star Specials” and “Major League Prospects” subsets that were part of the ‘89 Fleer set. 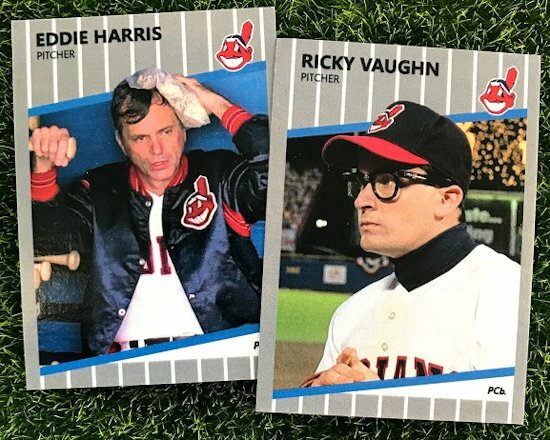 The Hayes / Vaughn Prospects card is easily my favorite of the mini-set. card to be in homage to another famous Fleer baseball issue; the 1984 Glenn Hubbard card. 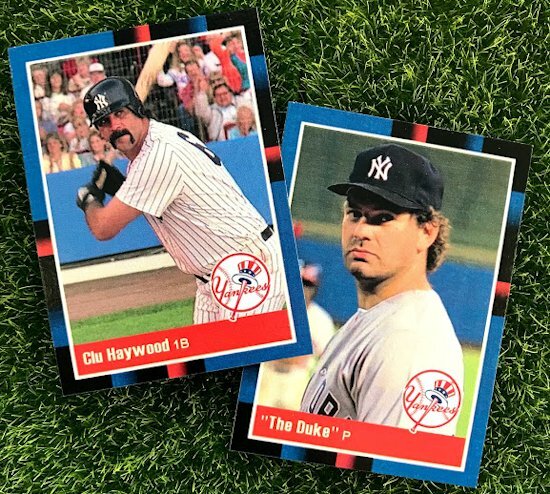 The two rival Yankee cards in the set are actually cards I made quite a while ago in the style of the 1988 Donruss set. I think the Clu and Duke cards in a different design adds a nice contrast for the movie’s goliath-like antagonists so I included these two as official parts of this set.